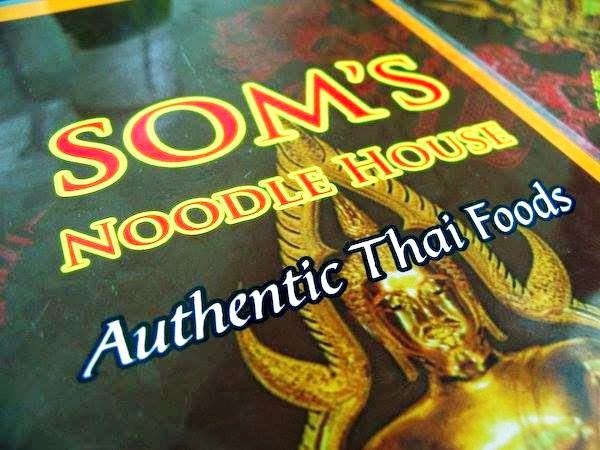 Before the 2014 starts with a blast, together with my badminton friends, we went to one of the famous Thai restaurants in Makati that offering authentic Thai foods - the SOM’S Noodle House. SOM’S Noodle House is specifically located at 5921 Alger St, Poblacion Makati City. It’s just near Rockwell Mall and Ateneo Graduate School of Business. This resto is situated in an area where you can find different restaurants offering international cuisines. Divisoria is the best shopping destination in Philippines during the holiday season. It’s a market district in the heart of the City of Manila, known for affordable goods and wholesale and bargain shopping. Last Dec 23, I visited Divisoria to buy gifts for my loved ones. I know for a fact this place is super jam-packed during the holiday season. All the people are going here to find low priced goods. "Tawad here! Tawad there!" Everyone really wants to get the cheaper price of everything. It’s also stressful going here because traffic is almost everywhere. Some of us really love the taste of a garlic. Count me in because I’m a fan of a garlic. Everytime I eat fried rice, I make sure it should have garlic toppings. Even on my favorite “special lugaw” (congee), I put a lot of crispy fried garlic on top of it. The reason why I’m talking about garlic is because I want to share my experience in the newest branch of Krazy Garlic. This a dining destination that glorifies the beautiful taste of garlic. This restaurant serves the best of the garlic –infused dishes from around the world. The Dinagyang Festival 2014 is fast approaching. Have you already booked your flight going to Iloilo this January? The Dingayng Festival is an annual celebration of the people of “The Most Noble City”. It is a religious and cultural festival in Iloilo City amd celebrated every fourth weekend of January. The event is held right after Sinulog in Cebu and the Ati-Atihan in Aklan. This festival is held to honor Sto. Niño and to celebrate the arrival of Malay settlers in Panay. Want to have unforgettable and exciting adventures in Mountain Province? If YES! Try doing the "topload" on the cool jeepney of Sagada and Bontoc. Top loading is one of the ways in riding a jeep. Instead of getting inside of the vehicle, you will go up to the roof the jeep. No comfortable chair! No protection ceiling! Everything is OPEN! Most of the upper portion of the jeep in Sagada and Bontoc are designed for topload. There are small metal (like) fences attached on the roof to prevent passengers from sliding. I’m sure most of you already heard about the “hanging coffins” in Sagada, Mountain Province. It's an old funeral custom of the people of Sagada wherein coffins with bodies of qualified individuals were placed on elevated cliffs. Sagada, Philippines is really famous for its "hanging coffins." This traditional way of burying people is part of the Igorot indigenous culture and burial tradition. Not everyone is qualified to be buried this way. Italy is celebrated worldwide for its divine cuisine and in turn each individual region has its own delicious specialities. The majestic capital city is no exception to this rule and a visit to Rome would not be complete without sampling some traditional Roman cuisine. Of course, the Eternal City is home to numerous delectable dishes, which often have very humble origins. So if you are visiting Rome for a day as part of your cruise excursion, use Cabs4Rome Civitavecchia transfers to get to the city centre and start enjoying some of top Italian dishes that you absolutely must try when in Rome. This tasty Roman dish is famous abroad, perhaps you even have your own version at home? However, a traditional Roman Spaghetti alla Carbonara includes very few ingredients but is not always the easiest to get right. Romans prefer to use guanciale, pig’s cheek, instead of bacon or lardons and pecorino romano which is similar in flavour to parmesan cheese. 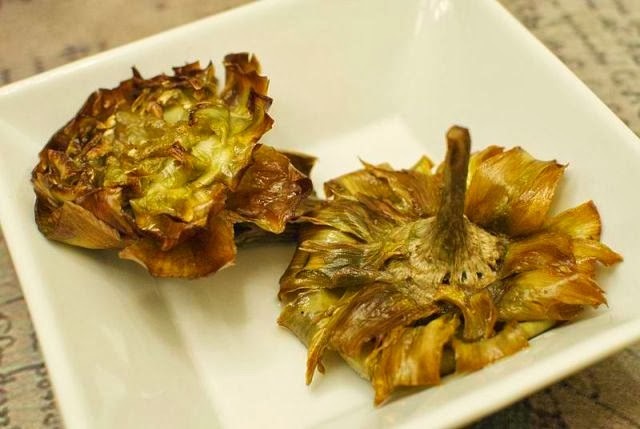 You will be able to find this classic dish in all good restaurants in Rome. Banaue Rice Terraces Viewpoint is one of the must-visit places in Banaue, Ifugao. 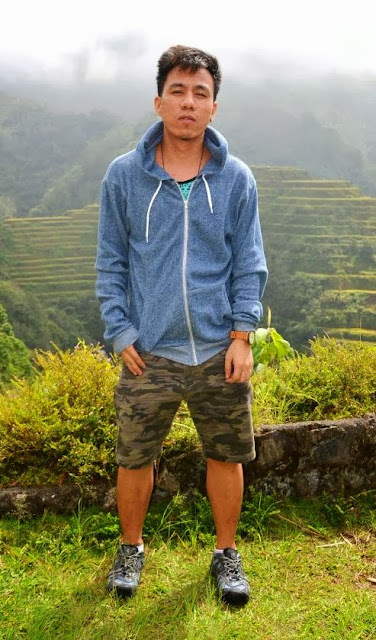 It the best spot to view the magnificent Banaue Rice Terraces. The Banaue Rice Terraces Viewpoint is also the place where you can find a store/shop selling cool and affordable souvenir items. You can find here contemporary art executed in wood. Most of the items symbolize the rich history and culture of the Ifugaos. If you want to see the magnificent view of Sagada, take up to the summit of Mt. Ampacao. Mt. Ampacao is a one of the must-visit spots in Mountain Province. It is consider the highest peak in Sagada. The mountain features amazing view of Sagada and green pine trees straddling around the area. Other than Mt Mariveles- Tarak Ridge, another mountain in Bataan that you might wanna explore and get some exciting memories is Mt Natib. Located in Orani, Mt Natib is a dormant volcano and considered the highest peak of the caldera in the province of Bataan. The stratovolcano mountain and adjacent surrounding is a protected area first declared as the Bataan National Park in 1945. Take a bus bound from Manila to Bataan. You can take either Bataan Transit or Genesis Liner, with terminals in Manila, Quezon City and Pasay. Tell the driver or conductor to drop you off at Orani Crossing. After that, travel from Orani Public Market to to Brgy. Tala ( jump –off). You need to pay a registration fee at the barangay outpost. There are many local guides available in the area that will lead you along the trail going up to the summit. 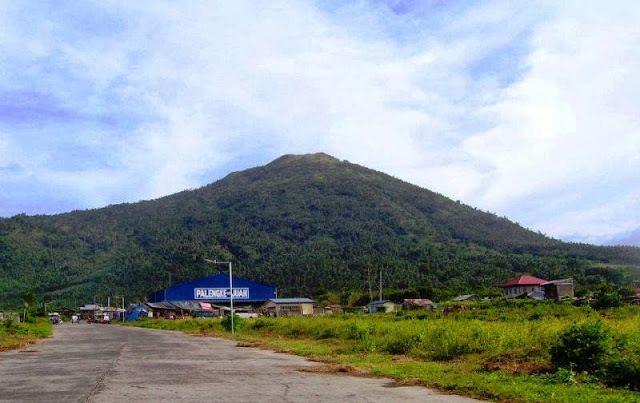 If you’re a beginner in mountain climbing, Mt Kalisungan in Calauan, Laguna is one of the easiest and nearest mountains near the metro that you might considering for your first climb. Also known as Mt Caluan or Mt Nagcarlan, the mountain is one of the smaller mountain in the Southern Tagalog region, featuring views from the peak of San Pablo's Seven Lakes, wide plantation fields, different kind of fruit trees and among others. Take a bus with signage Buendia-Taft from Manila to Laguna. Inform the driver to drop off in the Duck Junction in Victoria. Travel time is almost 2 hours. After reaching the Duck Junction, travel via Tricycle to the jump off the mountain at the Barangay Hall of Lamot. Don’t forget to register. There’s also available guide that will lead going to the summit. As a travel blogger, I’m not just looking for the most interesting and beautiful place, I’m also searching for the best and affordable accommodation where I can stay after exploring gems of the place . Tagaytay is one of the popular destinations of residents of Metro Manila for a relaxing getaway. It is the best place if you want to feel mild climate and to have a nature tripping. The most significant place in Tagaytay is the view of Taal Volcano. Of course, Picnic Grove, Puzzle Mansion, Our Lady of Manaoag at Tierra de Maria, Palace in the Sky, Punta de Santiago Lighthouse, People's Park, Sonya’s Garden are some of the tourist spots you can enjoy while in this beautiful place.Travel time from Manila to Tagaytay is about 2 hours. Taking photographs with the background of the magnificent Banuae Rice Terraces is such a different experience. It’s something that I can be proud of. Not of all of us have the privilege to see up-close this wonderful landscape. The Banaue Rice Terraces or Hagdan-hagdang Palayan ng Banawe are 2,000-year old terraces that were carved into the mountains of Ifugao, Philippines by our ancestors of the Batad Indigenous people. It has been recognized as one of the "Eighth Wonder of the World" and declared a UNESCO World Heritage Site. The province of Ifugao is famed for its beautiful landscape Ifugao Rice Terraces or Banaue Rice Terraces. The province is part of Cordillera Administrative Region in Luzon with a total land area of 262, 820 hectares. One of the best is tourist destinations in the province is the town of Banaue. About 350 km from Manila, you can take route Manila to Banaue via Ohayami Trans (located at Lacson Avenue corner Fajardo Street.Sampaloc Manila). The travel time will take around 9-10 hours. The fare is about Php 500- Php 600. 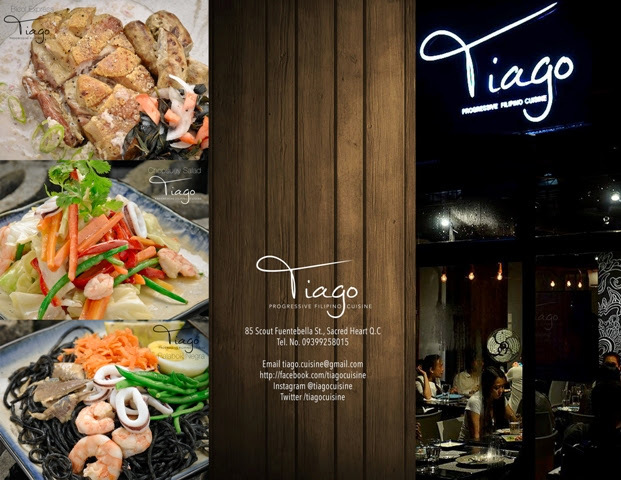 If you’re looking for traditional Filipino meals from different regions of the country, what I suggest to you is to take a food trip in the newly opened restaurant just block away from Tomas Morato in Quezon City- the Tiago Restaurant. Tiago was named after the owners’ firstborn son, Santiago. It’s owned by David John Buendia, Sigrid Aragona-Buendia, and multi-awarded chef, Kenneth Villaluz. Some people say sharks and rays are two of the dangerous animals in the oceans depths. I know some of us misunderstood them because we heard a lot of news of the shark and stingray attacks. I guessed some of the incident reports are too exaggerated. Actually they are just like other animals. They will only attack if you do bad things to them. It's only for only self-defense. Sometimes of the poor visibility, sharks may bite humans, mistaking them for prey. Human's misconception about sharks and rays will definitely convert into a good understanding on these creatures in the newly-opened attraction in Manila Ocean Park- the Aquanaut. Foodies in the north can now taste the sumptuous crab and new food items for much affordable prices in the newly-opened restaurant- the Clawdaddy's Seafood and Ribs Shack in Harbor Point Subic. Located in the First Level, Harbor Point Subic Bay Freeport, Clawdaddy is one of the finest restaurant in the area that serves authentic crabs and wide array of sumptuous Pinoy and international delicacies. Another mountain in the province of Rizal that should be conquered by every mountaineers and outdoor enthusiasts out there- the Mt. Tagapo a.k.a Mt. Susong Dalaga. Located in Talim Island, Binangonan, Mt. Tagapo is one of the best destinations to indulge adventure activities by those beginners in mountaineering. The mountain features the magnificent view of different mountains like Mt. Maculot, Mt. Makiling, Mt. Sembrano, Mt. Banahaw, Mt Cristobal, Sierra Madre & Mt. Arayat , the captivating fish pens of Laguna De Bay, Makati and Ortigas skyline, among others. I’m sure some of you already reached the magnificent summit of the second mountain in the Philippines, Mount Pulag. Dubbed as the The Playground of the Gods, Mt. 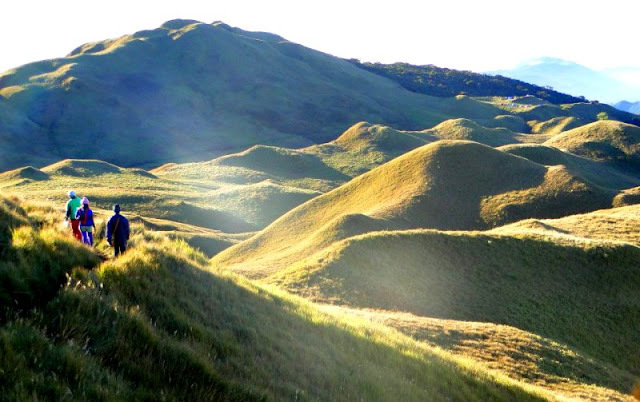 Pulag (or sometimes Mount Pulog) is one of the must-see mountains in the country, which offers the spectacular view of the sunrise. 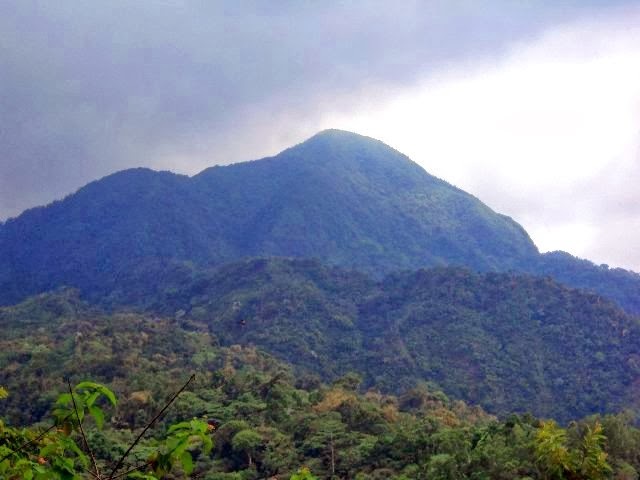 It is Luzon’s highest peak at 2,922 meters above sea level. 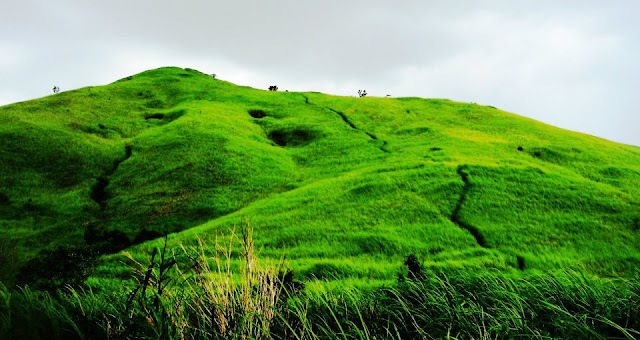 The mountain lies between the provinces of Benguet, Ifugao, and Nueva Vizcaya. Rediscover and Celebrate Bacolod with the Masskara Festival 2013. 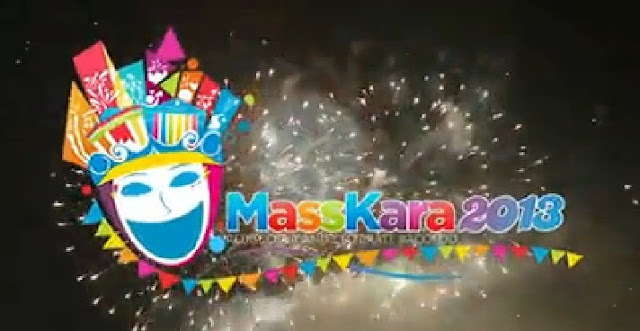 Witness the extravagant Masskara Festival 2013, as Bacolod celebrates its 75th Diamond Jubilee. The festival is a 20 days of non-stop thanksgiving to Mother Nature and celebration of life of the people, arts, creativity, culture, passion and friendship. The main event will be from October 18 to 20, 2013. Tigerair Philippines officially launched the latest direct flight between Manila and one of the best tourist destinations in Asia, Phuket Thailand. The new direct flight is from Manila, Philippines to Phuket, Thailand. This new service was already started last September 3, 2013. The Asia-Pacific’s leading value-for-money airline will fly twice weekly every Tuesdays and Saturdays. 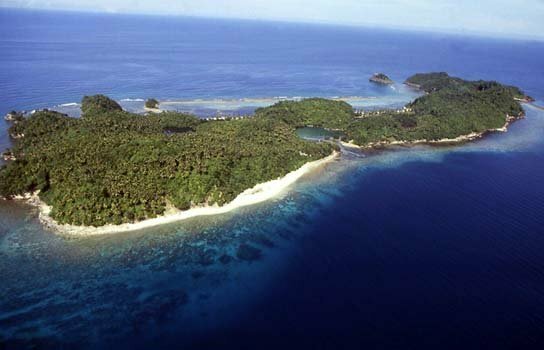 In the province of Negros Occidental, you can find the Danjugan Island Marine Reserve, a wildlife sanctuary in Brgy. Bulata featuring diverse and highly dense coral life. Danjugan Island is a small island with 43 hectares that lies in the Sulu Sea, 3km west of Negros Island, in the Visayan Island Group, and is surrounded by beautiful coral reef. It is famous for diving and considered as one of the most recognized dive spots in the region. 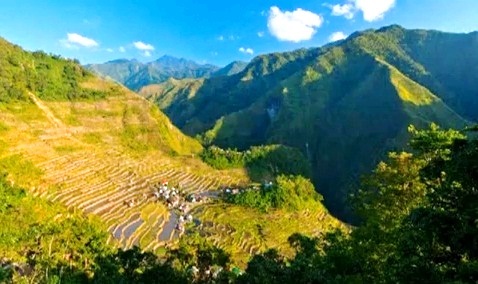 Most of us know the very famous tourist destination in the province of the Ifugao- Batad Rice Terraces and Bangaan Rice Terraces, are widely known as the site of the UNESCO World Heritage Site. These amazing "Living Natural Landscapes" are listed as a World Heritage Site since 1995, under the designation, Rice Terraces of the Philippine Cordilleras. Located in Banaue, the Ifugao Rice Terraces has two terrace clusters, namely Batad and Bangaan. These magnificent irrigated rice paddies are sometimes called by the by locals as the "Eight Wonder of the World." The terraces are covered mostly of rice and other indigenous plant species. There are lots of great destinations in Cagayan. 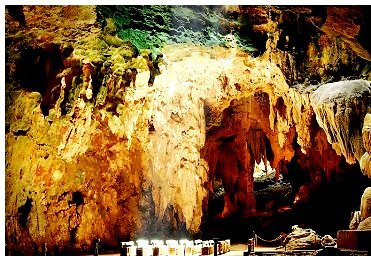 One of these tourist spots is the scenic beauty of Callao Cave in Peñablanca town, Cagayan's major tourism destination. Callao Cave is declared as a National Park, featuring 7-chambered cave with massive limestone formations running through a calm water of the Pinacanauan River. One of the highlights inside this natural spot is the stone altar illuminated by natural skylight, producing an eerie catacomb-like atmosphere. This natural cathedral located at the first chamber of the cave was turned into a chapel. Looking for the best resort in the Northern Part of the Philippines? 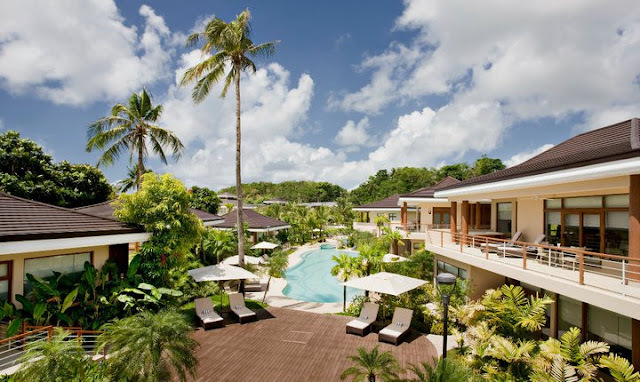 Check out Cagayan Holiday & Leisure Resorts Philippines, one of the newest resort to distinguish Southeast Asia as a premier vacation destination. Cagayan Holiday & Leisure Resorts offers complete facilities and amenities that assure guests to have a comfortable and productive stay. It provides 112 villas and other elegant accommodations. 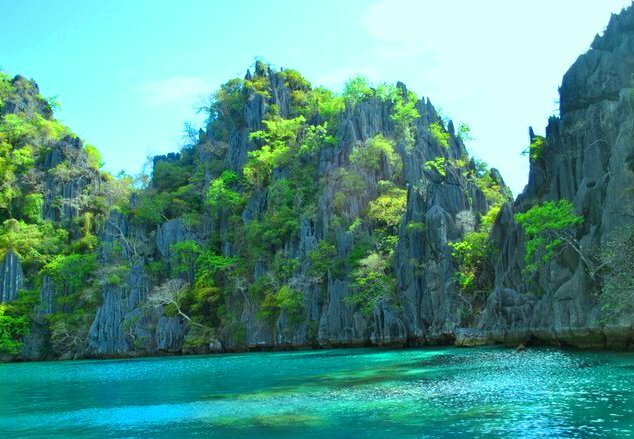 Coron in Palawan, Philippines is one of the favorite destinations of locals as well other tourists around the world to spend their leisure time and to experience an ultimate getaway. Coron covers the eastern part of Busuanga Island and all of the nearby Coron Island, stretching as far as Tara Island in the northeast and Canipo Island in the south. All these islands are part of the Calamian Archipelago in northern Palawan that separates the South China Sea from the Sulu Sea. One of the must-see tourist spots in Singapore is the popular Universal Studios, located within Resorts World Sentosa on Sentosa Island. 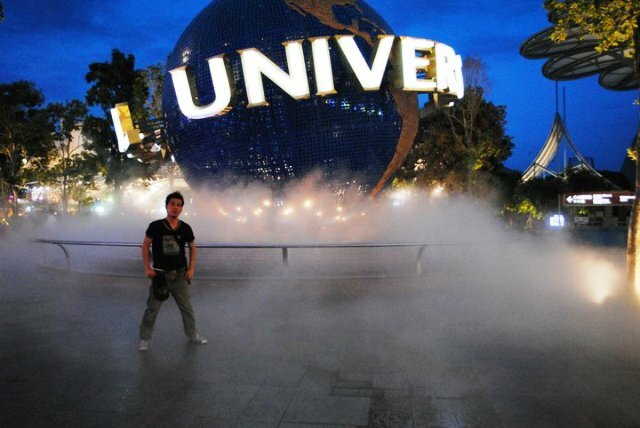 This big theme park markets the place as "one-of-its-kind theme park in Asia. It was officially opened to public on March 18, 2010. It already attracted more than 10 million of visitors from different countries around the world. A tropical resort nestled in one of Philippines' most captivating islands that highlights its quaintness and unparalleled beauty- the Bahay Bakasyunan sa Camiguin. 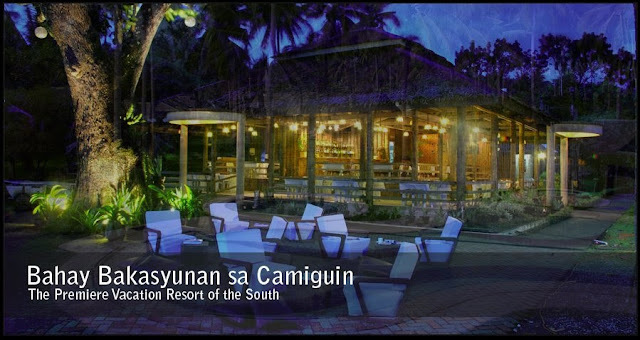 If you’re looking for accommodation in Camiguin that you want to feel relax while enjoying the unique landscapes and breathtaking seascapes, the Bahay Bakasyunan sa Camiguin is the place to be. 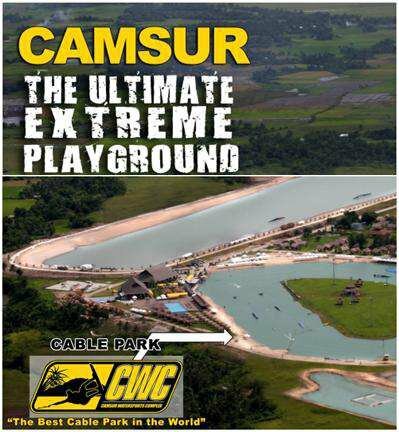 If you want to experience the ultimate wakeboarding, wakeskating and waterskiing, visit and play at the Camsur Watersports Complex or Camarines Sur Watersports Complex in Pili, Camarines Sur. From Manila, take a 50-minute flight from Manila to the city of Naga offered daily by Philippine Airlines, AirPhil Express and Cebu Pacific. Then, you can take 5 mins drive of tricycle ( enroute to the complex), which are available near the airport. The fare is around Php 50. Inform the driver that you want to go to the Provincial Capitol Complex where CWC is located. Don’t worry guys because there are lots of signs which are visible once you enter the gate. One of the luxurious resorts in the Bicol Region that you would definitely love to be part of your relaxing getaway is the Misibis Bay. Dubbed as the “Philippine’s Luxury Island Playground, Misibis Bay is a private tropical hideaway built on a pristine stretch of beach along the southern tip of Cagraray island in Bacacay, Albay. It is one the favorite venues of tv shows, movies, commercial campaigns, pictorials, among others. 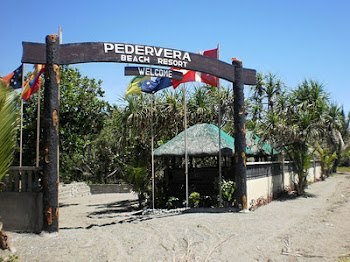 Pedervera Beach Resort is one of the best resorts in the province of Aurora. It is standing in the beach front of Baler wherein you can see surfers enjoying the big waves in the sea. The resort offers affordable rooms with competitive amenities and facilities. You can reach the sea a few meters away, and a place the best for surfing. They also offer tour packages that include visiting the 600-year-old Balete Tree and Baler’s own Waterfall. If you’re looking for a venue for wedding, birthday party, conference and conventions in the province of Aurora, AMCO Beach Resort is ideal for these events. It is a low-rise colonial style building with halls overlooking the driveway. Of course! 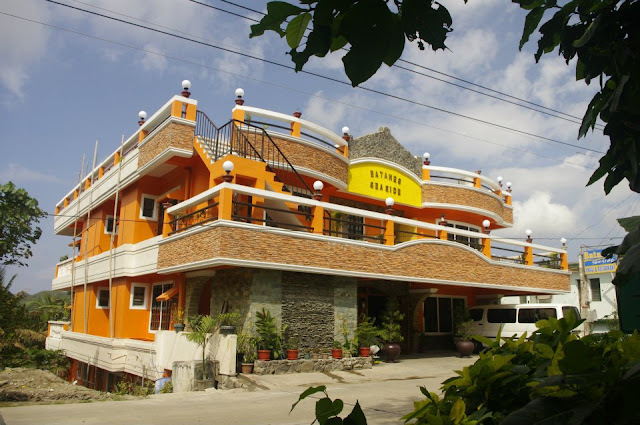 The resort is also a lodging place for those people who are in vacation in Baler. Even it is not beach front, AMCO has complete facilities/amenities that include different types of bedrooms base on your budget. The room rates are ranging from from Php400 to Php500 per night. As much I wanted to stay in Dampa, Timog, sharing crazy stories and laughters with my badminton buddies, I needed to leave the place for my adventure in Corregidor Island, Bataan. 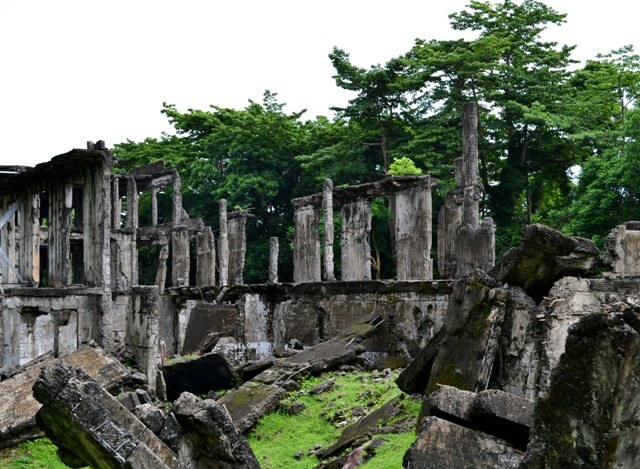 I will join the Corregidor Challenge together with photography enthusiasts and friends from the media which presented by Columbia Sportswear. Lack of sleep from the toxic world of my company, still headed to Partas Terminal, Cubao for my adventure in the surfing capital in the North, San Juan La Union, without searching anything about the place. 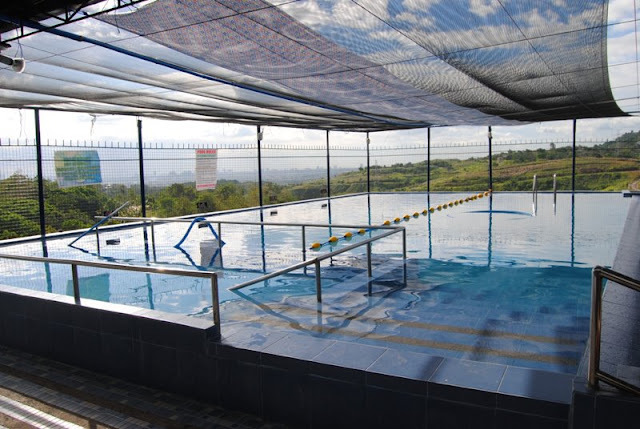 Thunderbird Resorts or Thunderbird Resorts- Hotel is one of the high end resort- hotels in the whole Northern Luzon. It is only the five-star hotel-resort in La Union that can give you a world class hotel experience. Thunderbird Resorts La Union is located at VOA, Pennsylvania Avenue, Poro Point Special Economic and Freeport Zone, San Fernando, La Union, fronting the finest beaches and facing the Lighthouse beside Wallace Air Station, a United States Air Force (USAF) facility. It’s my second time to visit the Kahuna Resort in San Juan, La Union. I’m still loving the place because of its overlooking view of the West Philippine sea and while looking beach lovers and surfers enjoying the big waves. 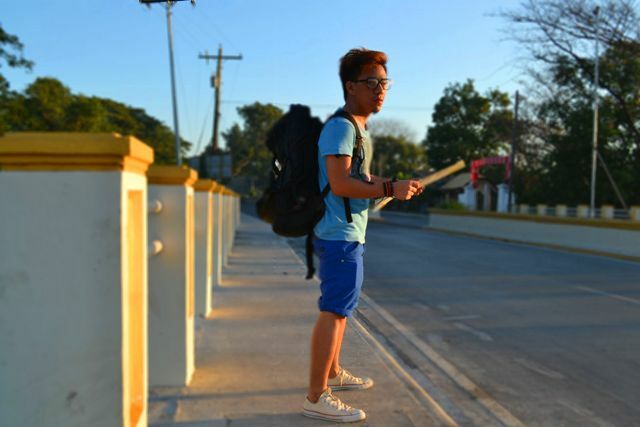 From Manila, take a bus bound to Laoag, Vigan and Abra. You can choose different bus company including Florida, Genesis, Dominion, Fariñas, Viron and Parta. Ask the driver to let you down at the Kahuna Resort San Juan, La Union. The Circle Hostel is not the typical accommodation that you always see standing in front of the beach or just nearby. It’s a structure that’s created with peaceful and artistic mind to provide a sanctuary for surfers and beach lovers. Situated in the surfing paradise of San Juan, La Union, The Circle is the best place for travelers who want affordable lodging with friendly atmosphere. The beds are made from bamboo wood with comfortable bed toppings. You can sleep either in the bunkhouses or hammocks. There's also a common area for social gatherings and yoga. We always plan for our group's team building. Almost every end of our shift, we discuss where is the best place to hold our team bonding. There are so many destinations we want to explore but it came up to a resort in Antipolo- the Rosalinda Resort. Antipolo City is the home of Antipolo Cathedral also known as National of Our Lady of Peace and Good Voyage/ Immaculate Conception Parish. The city is also famous for its cashew nuts & suman. Now, the place has been a favourite summer destination for those who are living in the Metro. 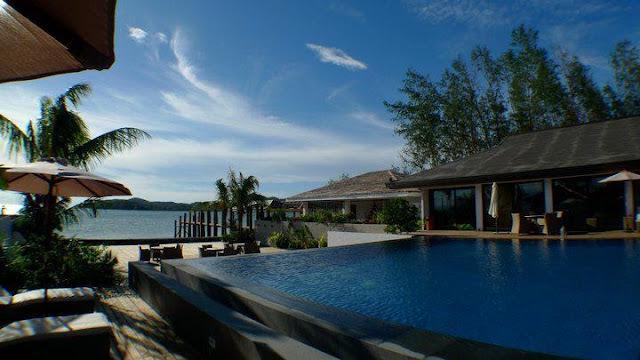 You can definitely rent plenty of private pools and resorts with overlooking view of buildings and houses in the nearby city. I'm planning to go in the majestic place of Palaui Island in Sta. Ana, Cagayan. From the time I started my travel blog, I really want to explore this lush green of island flaunting of glorious white sands and scenic forested mountain landscape that surrounded with blue-green water. The island is really a must destination that need to visit for adventurer like me. Folks, I have good news and bad news about the Palaui Island. The good news is....this beautiful island took the 10th place on CNN's 2013 World’s best beaches. I read the news on CNN website. The other good news it will become the next location of the British reality television series, SURVIVOR. The bad news is....Palaui Island is off limit to all visitors/tourist for the show shoot. The news is posted on Inquire news website. 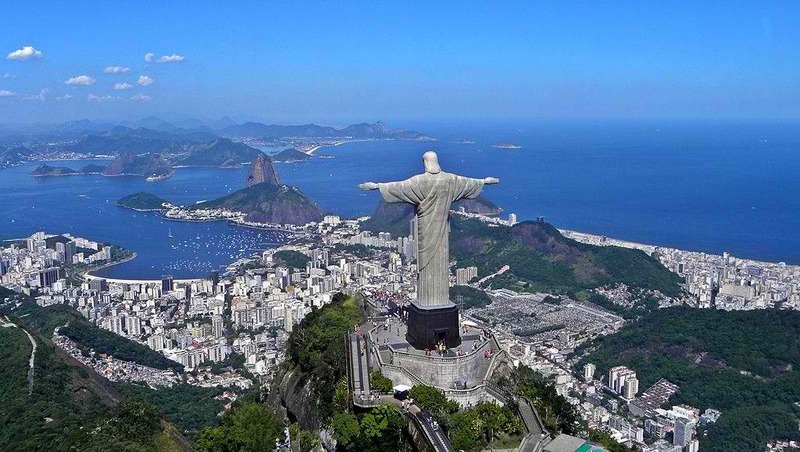 Who wants to explore the beauty of Brazil? I’m sure most of us want to see the city of Sao Paulo and Rio de Janeiro. Good news folks because Philippine Airlines (PAL) is planning to mount daily flights from Manila to Brazil before the end of the year. This follows to the recent approval of new flight rights between Brazil and the Philippines. As we all know the 2014 FIFA World Cup will take place in Brazil from 12 June to 13 July 2014. I think this a good strategy of PAL to get more revenue and to use its brand-new Boeing 777 flights to the United States. I was watching news when I saw the video that Philippines specifically in Iloilo earned the Guiness World record for the most sky lanterns flown simultaneously. 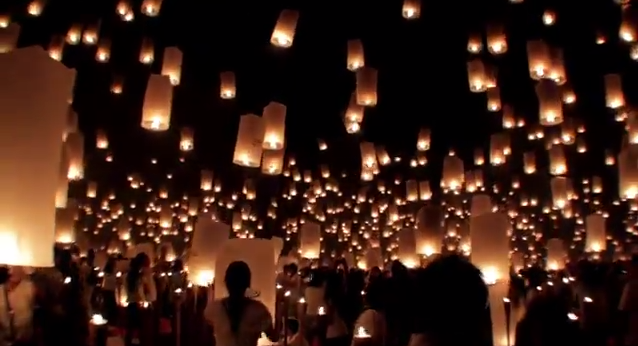 More than 15,000 of paper lanterns flew into the night sky at the University of the Philippines Visayas in Miag-ao in Iloilo, happened last May 24, 2013. It’s time to rejoice! Guinness Book of World Records adjudicator Sienna Sobastikeynije officially announced the Philippines has broken this record for the most sky lanterns flown simultaneously, breaking Romania's record of more than 12,000. To get a fulfilling and satisfying escapade, you need to make sure everything is properly planned. It really needs passion and dedication because travelling is not that easy as what you think especially those adventure with thrilling outdoor activities. You need also to consider the time, weather, place and of course, the most important- the MONEY. It’s very essential to have enough funds before your indulge to an exciting travel trip. That’s why as early as now, most of the people are saving money for their future travel. Even the young ones save money on their bank account. Also me, I make sure that I have money on my next escapades. Some of my income goes directly to my bank account. Rather than going to the bank, I do the bank transactions through online. It's very convenient to have online account with my bank. Actually, you can do it by your own. To open a bank account online easily, you just need to make sure your properly fill up the form online, follow the requirements and agree to their terms and condition. You need to make sure as well you are on the right website. Online banking really works for me. On June 29, the Waray people, Samarenos or Leyteños will celebrate the Pintados -Kadsayaan Festival, a cultural-religious celebration in Tacloban in honor of the City Patron Saint, the Senor Sto. Nino. The participants of the event are dancing in the street and their bodies are heavily covered with paint or tattoos. This festival is based on the body-painting traditions of the ancient tattooed "pintados" warriors. I’m sure the elected officials of Tacloban City are now busy in the preparation of the Pintados-Kasadyaan Festival 2013 for next month. I also read online that Tacloban City Government also created a festival for the annual fiesta called Sangyaw Festival of Lights which the same format with Pintados-Kasadyaan. This festival is a fusion of festival presentation with a Latin beat dance step. Anyway, the winners of Pintados-Kasadyaan Festival will be the province representative to compete at the Sinulog Festival in Cebu and Aliwan Festival in Metro Manila. Amboy Hometel in Batanes offers a relaxing ambiance which a short walking distance to Chanarian Beach. It’s just like a big house that turns into inn. Amboy Hometel has a total of six room accommodations and five different room categories. They also have a mini-resto that serves sumptuous Filipino cuisines. Another resort in Batanes that you might consider is Batanes Seaside Lodge & Restaurant. It is located at Kaychanaranan, Basco. It‘s specifically located along the national road and very accessible to different towns. 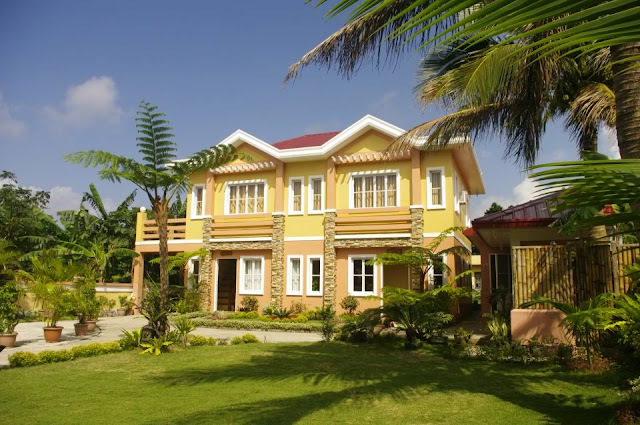 The Batanes Seaside Resort offers fully air-conditioned rooms for family, double and single occupancy. The resort has also amenities that could enjoy by every tourist such as Cable TV, Free Wifi, Hot and Cold shower and others. If you’re craving for Batanes local cuisine, they have Restaurant that serves the best dishes in the locality. The room rates are ranging from 5,900 + up to 22,900 (3D/2N) depends on the no. of days of stay. Anawangin Cove in the province of Zambales is one of the islands that I considered that every Pinoys must have on their travel list. You will feel somehow the significance of nature of your life and how lucky the Philippines to have this beautiful tourist spot . The island cove that can remove all the stress (for a moment I guess?) that you get from the busy Metro when you see the beauty of the whole place and indulging on different outdoor activities. Last week, my sister invited me to join on their Anawangin trip. Since it was my rest day and there’s no schedule for meeting, events and out-of-town trip, I immediately replied YES! It’s going to be my third time to visit this beautiful island. Just like me, everyone is dreaming to explore the beauty of Batanes. One of the provinces in the Philippines that truly offer unforgettable experiences to every tourist who visited the place. 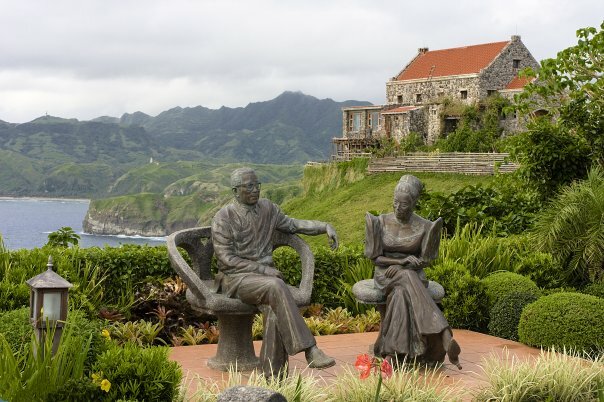 If you want to go to Batanes, stay in the beautiful Fundacion Pacita Batanes Nature Lodge, which the home studio of internationally-acclaimed artist Pacita Abad. Fundacion Pacita Batanes Nature Lodge provides their guests a very romantic and charming lodging. It offers a peaceful ambiance and great amenities and facilities. Every room was designed to resemble a gallery and the walls were decorated by masterpieces of both well-known and up-and-coming artists. The rooms boast narra wooden flooring and wooden furnishings designed by former DepEd Secretary Butch Abad. 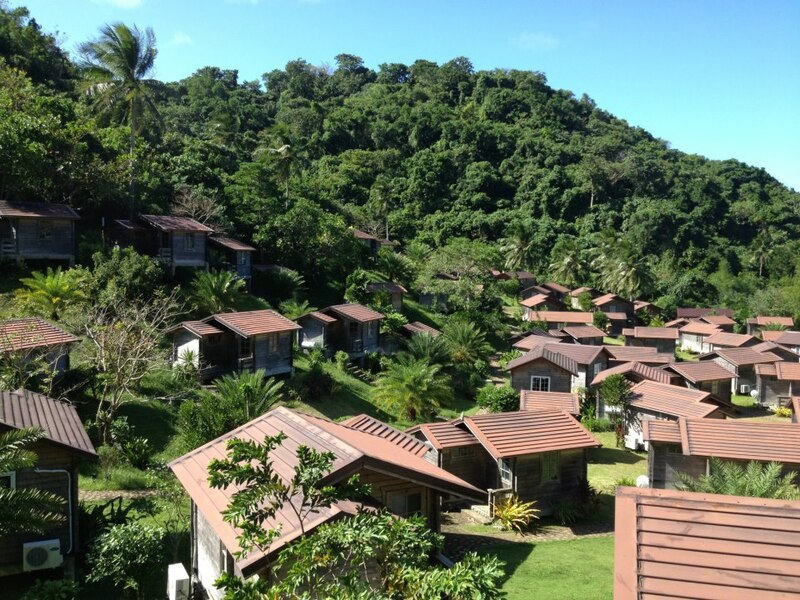 If you’re looking for the best resort in Caramoan, Camarines Sur, stay in the beautiful Gota Village Resort. 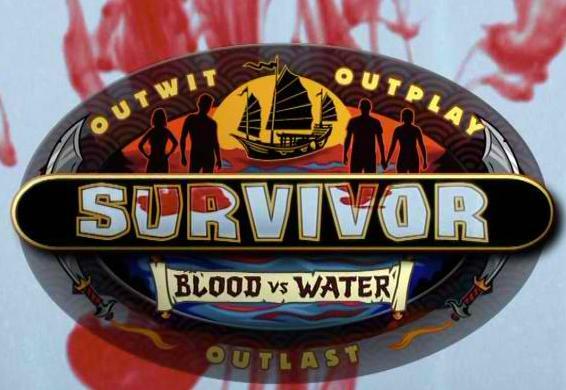 It is the first and only choice of the International TV hit series Survivors. Gota Village Resort is a beach front resort which also is situated beside the mountain and covered with lushes green trees.